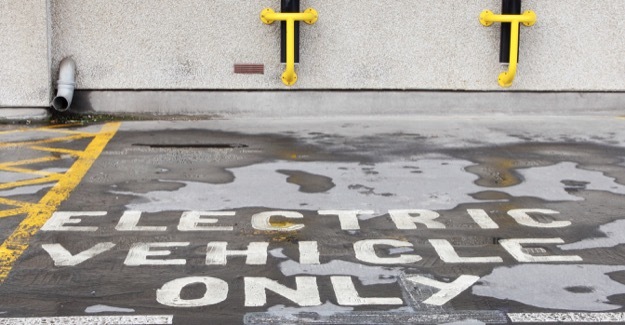 Low running costs for electric cars - but for how long? Drivers of low-carbon cars could face massive increases in their fuel bills if the Treasury is not to face shortfalls in the amount of tax it gets from drivers. As ministers encourage the mass market take-up of low-carbon cars the Exchequer must decide whether its long-term strategy is to hike the price of ‘green’ fuels, such as electricity, or take a hit on its revenue. The warning comes as the RAC Foundation publishes a new report, Shades of Green, which analyses the environmental performance of 51 cars – most of them from major manufacturers, and either already in the showrooms or soon to arrive -over a 57-mile eco-run from Brighton to London. The run – the inaugural Royal Automobile Club Future Car Challenge – demonstrated just how much cheaper electric cars are to run. On the journey from the coast to the Capital drivers of electric vehicles each spent, on average 3p per mile on fuel. By contrast drivers of hybrids spent 7p per mile on fuel, and the cost for those behind the wheel of a diesel car averaged 9p per mile. “Government faces fundamental issues about how you tax fuel. Currently there is a major push on by ministers to get people to buy ultra-low carbon cars, many of which are electric. A big attraction of these cars is their low running costs. When a driver charges his car battery at home he avoids the large whack of duty payable at the pumps on petrol and diesel. He also pays VAT at the reduced rate of 5% rather than the 20% that fossil fuels attract. “At some stage a point will be reached when the Government is likely to either start putting up tax on green fuels or the Treasury must accept a cut in its income. For all the talk about sustainable transport there also needs to be a sustainable and equitable tax regime. The full Shades of Green report can be found at www.racfoundation.org/research or downloaded here. The report was launched at a joint RAC Foundation/Royal Automobile Club event on 5 May 2011. The event is available to view again on vimeo. As per the rules of the 2010 Future Car Challenge – www.futurecarchallenge.com – none of the data is attributed to individual makes and models. However a full list of entries is available at the back of the Shades of Green report. To be eligible for the Future Car Challenge vehicles had to emit no more than 110 gCO2/km. The costs per mile were based on the price of fuels on the day of the run; 6th November 2010 with diesel at £1.22 per litre and electricity at £0.13 per kWh. The current rate of fuel duty is £0.5795 per litre of fuel.